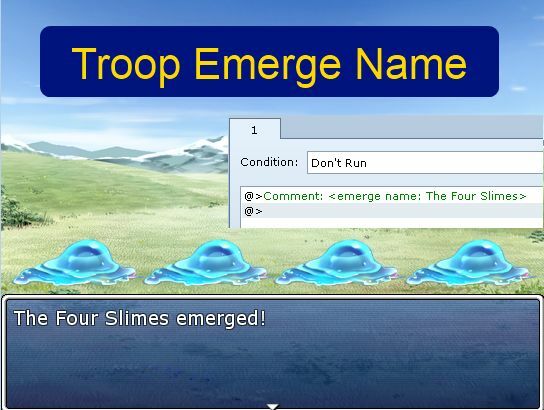 This script allows you to set a troop emerge name. By default, the troop emerge message lists all of the enemies that appear. You can change it to use the troop’s name, or a custom name of your choice.